Children's home slippers made of fabric with a rubber sole. Easy to slip on thanks to the instep rubber bands. Classic children´s slippers that stay on even in wild games. The white sole will not stain the floor. 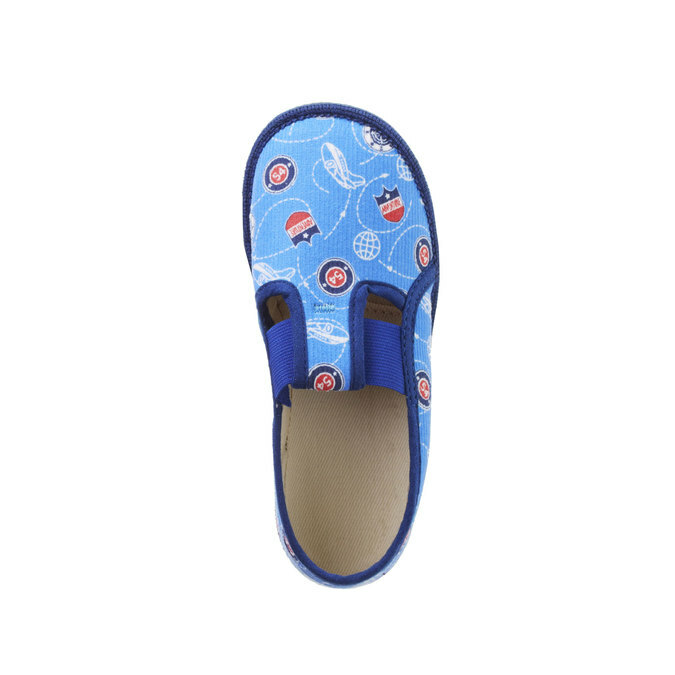 Recommended nursery slippers.